New York – Governor Andrew Cuomo and Vice President Joe Biden gave a press conference this afternoon to announce that LaGuardia Airport will be completely rebuilt by 2021. BIden said that “New York is the greatest city in the world and it requires a 21st Century infrastructure“. The airport will be transformed into a single unified main terminal with expanded transportation access, significantly increased taxiway space and best-in-class passenger amenities. Governor Cuomo explained that the goal is not just to rebuild and repair a 1939 airport facility, “we want an airport that is a state of the art facility“, he said that the new structure should be a globally renowned airport for the next century “that is worthy of the name New York in it“. LaGuardia and JFK are economic anchors to the city and both public servants have the vision to make them the best airports in the world. To accomplish this the overhaul spending is estimated to be around $4 billion, most of which will go toward tearing down the Central Terminal Building, rebuilding it in place and augmenting it with a grand entry way, according to The Port Authority of New York and New Jersey, which operates the airport in northern Queens. However the latter amount will be only to construct the first half of the new unified terminal. 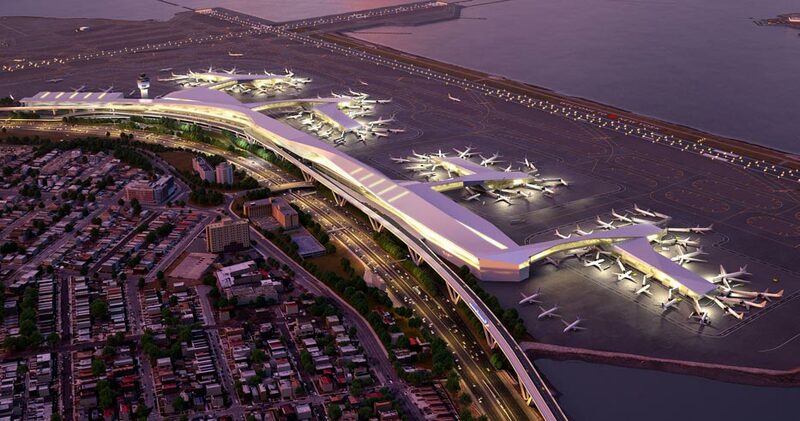 This project will be managed by LaGuardia Gateway Partners, a new public private partnership and is expected to create 8,000 direct jobs and 10,000 indirect jobs. It will begin upon final approval from The Port Authority of New York and New Jersey expected in early 2016. The opening to passengers is expected in 2019, and 18 month later the project will reach full completion. The second half of the new unified terminal is expected to be redeveloped by Delta Airlines. Vice Presiden J. BIden, who last year compared LaGuardia to an airport in a “third world country“, said that his remarks at the time also included praising the workforce of the airport as first class, “it deserves to have a first class facility to serve customers“ he considered. Travelers would have better options to get to LaGuardia Mr. Cuomo explained. The plan called for a rail link between the airport and a subway station in the Willets Point section of Queens, as well as re-establishing ferryboat service to the airport. 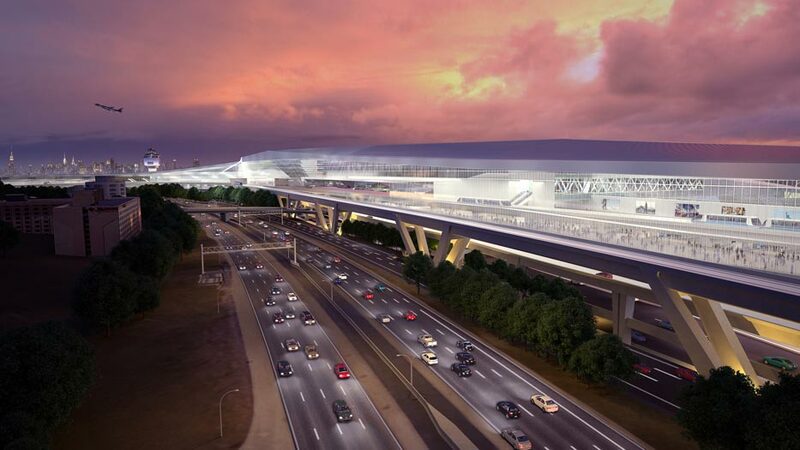 Cuomo said his administration would also design a master plan for New York’s busiest hub, John F Kennedy International Airport, that would be done in the next 12 months.